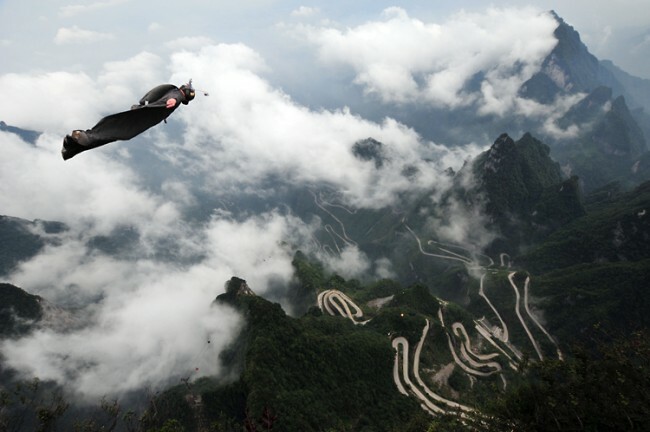 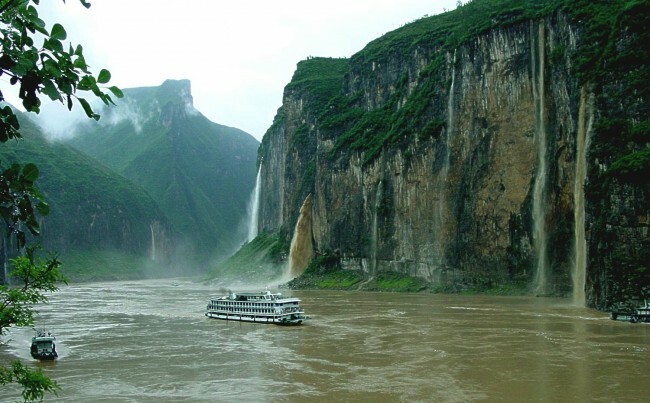 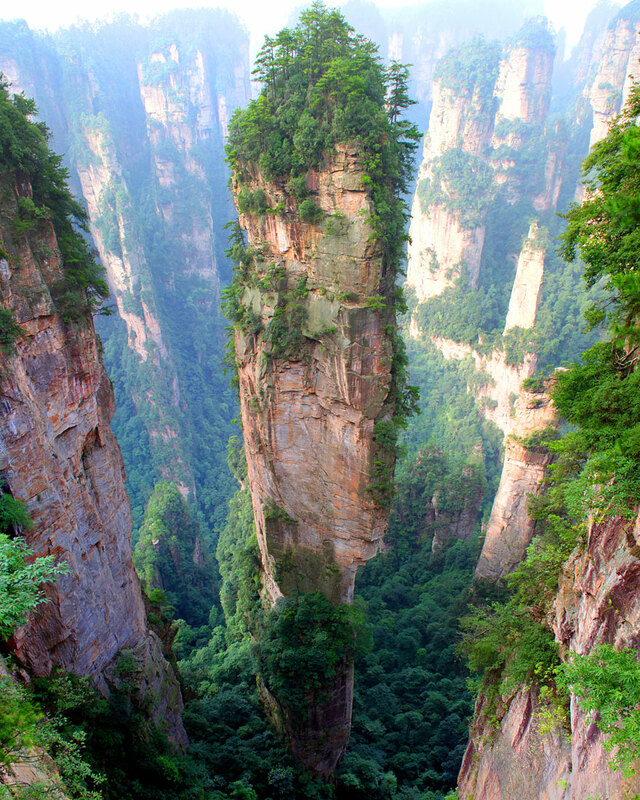 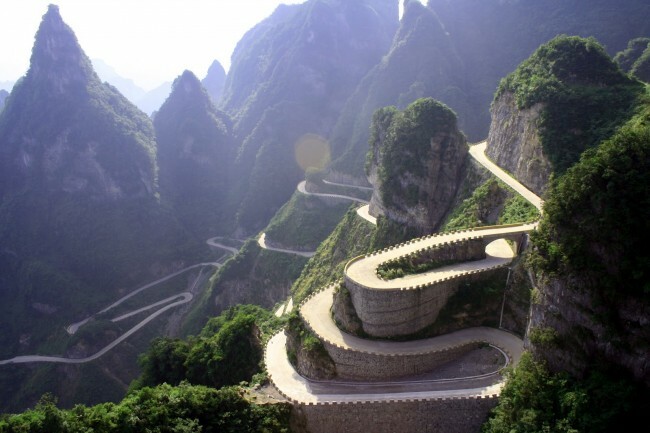 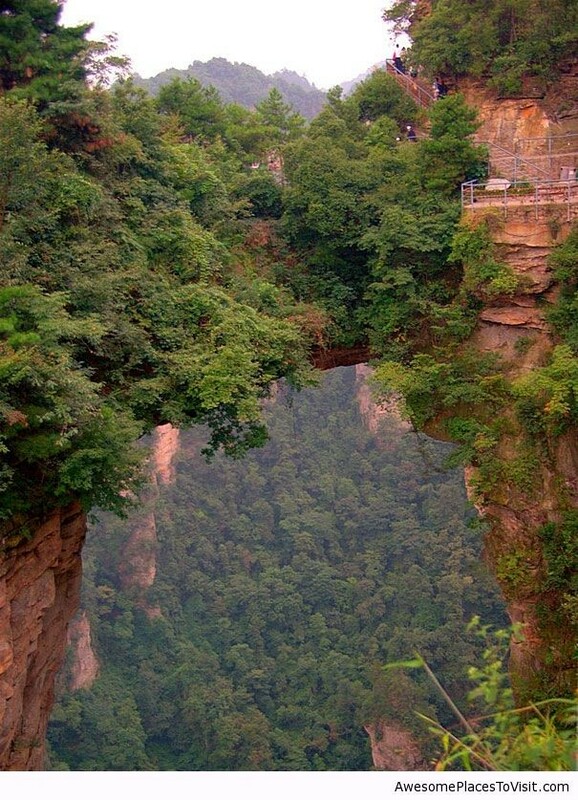 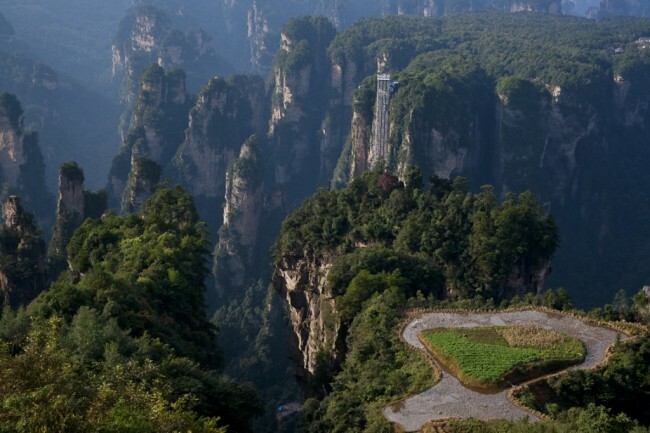 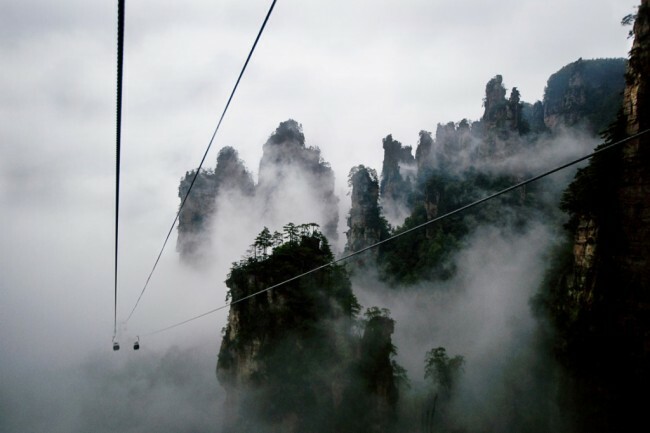 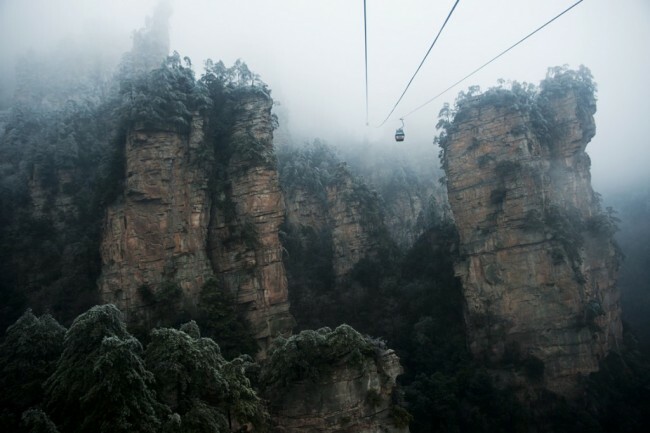 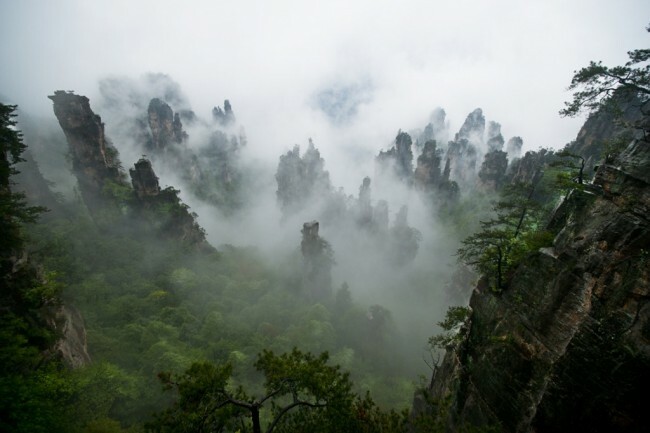 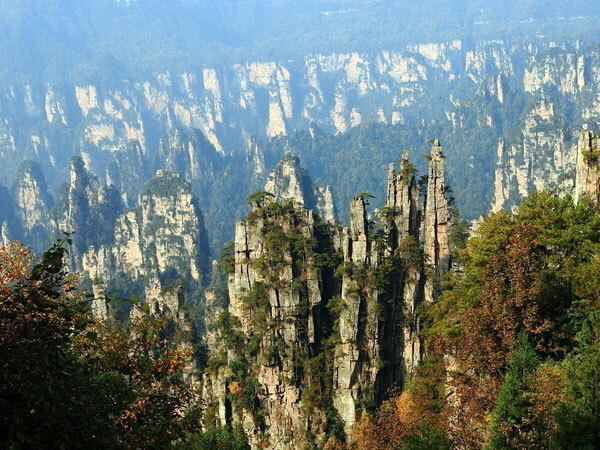 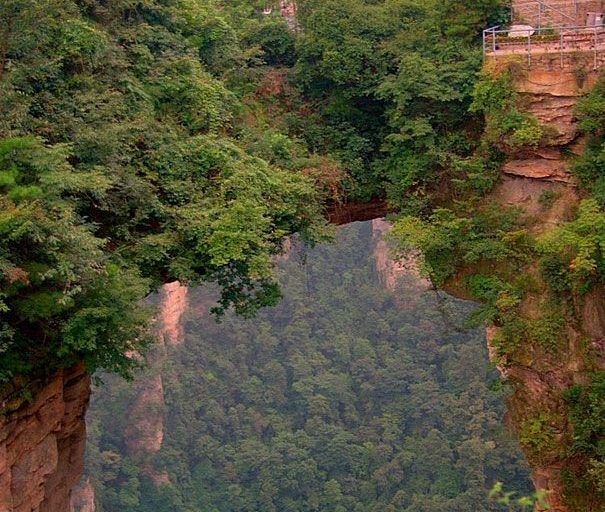 Tianzi Mountain provides stunning views of peaks, which rise one after another. 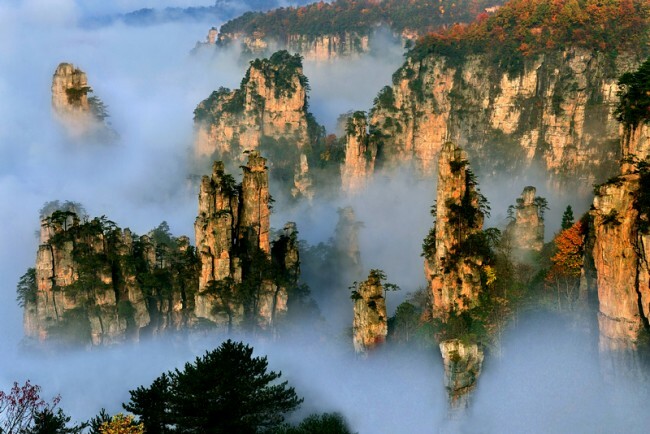 It is known as ‘the Monarch of the Peak Forest’. 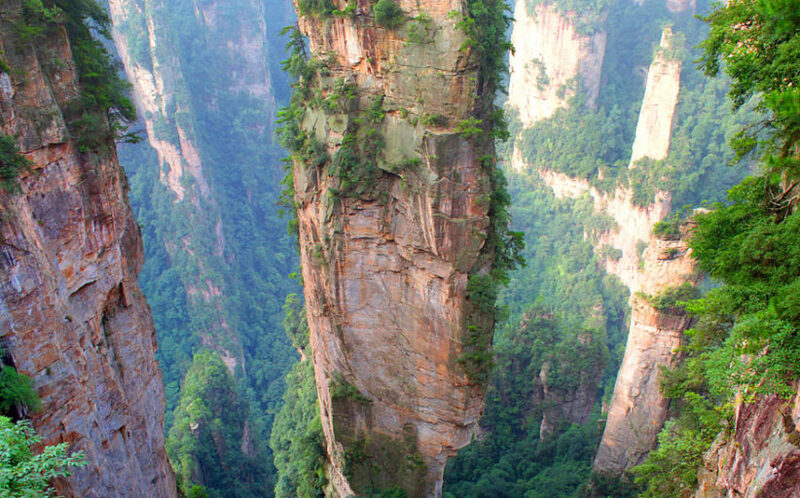 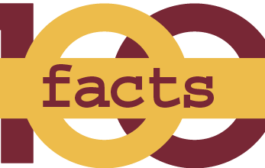 It covers an area of 67 square kilometers (about 16,550 acres), and the highest peak is 1,262 meters (about 4,140 feet) above the sea level.